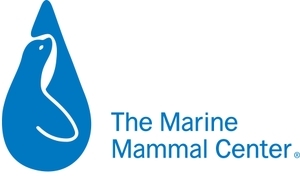 The Marine Mammal Center advances global conservation through marine mammal rescue and rehabilitation, scientific research, and education. Animal Care: With a volunteer force numbering more than 1,200 and the support of a concerned public, the Center is able to respond to marine mammals in distress. Sick and injured animals are treated and rehabilitated at our state-of-the-art veterinary facilities where we care for our patients until they can be released back to their ocean home. Covering a rescue range that spans 600 miles of California coastline and the Big Island of Hawai‘i, the Center responds to more stranded marine mammals than any other organization in the world. Our sought-after experts are deployed locally and internationally to provide technical veterinary expertise and training on best practices ranging from anesthesia to disentanglement. Scientific Research: The Center is a major contributor to the global body of research and knowledge about marine mammal medicine and health. Our veterinary experts develop new clinical techniques to improve marine mammal rehabilitation and care, and investigate the reasons why marine mammals strand and how these factors are connected to ecosystem and human health. Learning from every animal we respond to, our researchers identify novel diseases and pathogens, support endangered species conservation and partner with scientists around the world on collaborative research that utilizes samples and data collected by the Center. Marine mammal health, ocean health and human health are inextricably linked, and our work advances knowledge of all three to benefit us all. Education: As a teaching hospital, the Center serves as a vital training ground for veterinary professionals from across the globe, expanding the collective understanding and application of marine veterinary science and conservation. Our innovative school and public education programs build a sense of responsibility through a connection to marine mammals and the marine environment, inspiring future ocean stewards and promoting action to protect the ocean. Each year, these education programs and hands-on trainings reach more than 100,000 children and adults, supporting the next generation of informed scientists and engaged citizens who will care for and ensure the health of our ocean and environment. The Marine Mammal Center was founded in 1975 by three local citizens: Lloyd Smalley, Pat Arrigoni and Paul Maxwell. Since then, and thanks to their vision, the Center is now a global leader in marine mammal health, science and conservation and is the largest marine mammal hospital in the world. The Center operates physical locations in Sausalito, Morro Bay and Moss Landing, CA, as well as in Kona, Hawai‘i, and has an annual operating budget of $11.5M. A team of 80 staff and 1,200 actively engaged volunteers make the Center’s impact possible and keep the Center operating 24 hours a day, 365 days a year. The position is supported and supervised by the Manager of School and Youth Programs. The Marine Science Educator role requires self-direction and initiative. This role is full-time, typically working a Tuesday-Saturday schedule, but may be required to shift the schedule to work early mornings, late evenings, weekends and/or holidays, depending on program or facility needs. Bilingual proficiency is very desirable. Why are you passionate about Marine science education? We are located in the Marin Headlands where there is no consistent public transportation. Do you have reliable transportation?